“My whole life was art, art, art,” Natalie Sideserf told me recently during a happy hour meeting downtown. Not surprisingly, her interests led her to study art at Ohio State. But Natalie didn’t choose to apply her training to clay or plaster. Instead, in a turn of events that may have seemed odd to onlookers, she decided on an unconventional artistic medium: cake. “Why can’t cake be art? It hasn’t been taken seriously enough,” Natalie exclaimed. You may not take it seriously either…until you see what this girl can do with some flour and sugar. 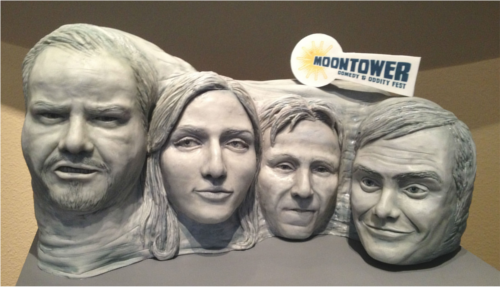 While still in Cleveland, Natalie tried to start bridging the gap between art and cake. But job opportunities were few for the recent graduate. You hear of people moving to Austin for every reason under the sun, but “I came for cakes” was a first-time response for me. 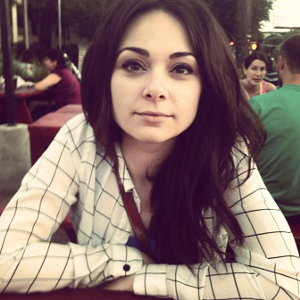 “I moved on hearsay of how good Austin is for business and art, creativity,” Natalie said. Sure enough, Natalie found a job opportunity here in Austin, working for a local bakery for almost two years. Continuing to hone her skills, Natalie decided to enter Capital Confectioners’ Sugar Art Show & Cake Competition. 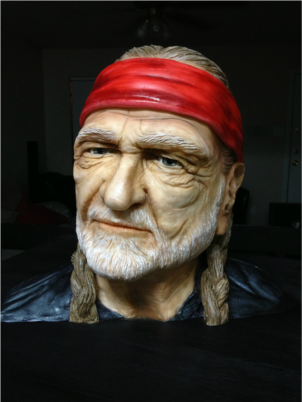 She wanted to sculpt her cake in the form of a lifesize older male’s head, so her mom suggested Willie Nelson. That’s when things got a little wild. After approximately thirty hours of work, Natalie took a picture of her completed cake and sent it to her family. When her brother posted the photo on Reddit, the post went to the top of the charts, ranking #1 globally. Her success at the actual competition was the icing on the cake (pun intended). Natalie won Best of Division at the Intermediate level, as well as multiple other awards. Sideserf Cake Studio’s 2013 Kickstarter campaign fell short of its goal, but Natalie is still moving forward with opening a brick and mortar bakery (she currently bakes her masterpieces at home or in rented space). Her bakery concept is similar to a sushi bar, where visitors can enjoy the goods while watching cake creativity in progress. Unless plans change, South Austin will be home to the all-new shop. Additionally, Capital Confectioners’ competition is coming up again and Natalie has some big plans. “I want to take something that’s not real and make it real,” she told me cryptically. And then there’s her horror movie-themed wedding at Alamo Drafthouse that’s coming up in a few weeks. All that to say, Natalie Sideserf keeps busy. 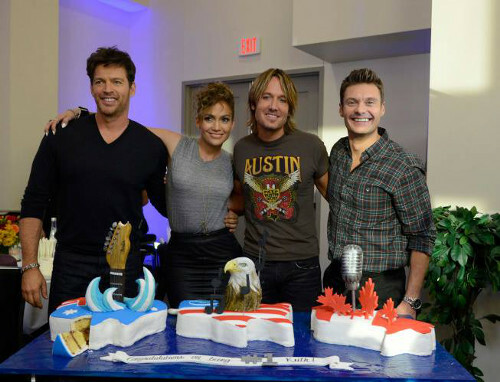 If you want to join the ranks of Sideserf Cake Studio clientele (possibly the closest to Keith Urban you’ll ever get? ), Natalie’s cakes begin around the $60 price range. A cake that size will feed about 15 people. On the higher end, Natalie says her wedding cake, which of course she’s making herself, will be valued around $1,500. “For whatever reason, cakes are really behind when it comes to art forms,” Natalie mused at the conclusion of our time together. But as she pursues hyper-realism and gains worldwide acclaim at the beginning of her career, I believe this artist is revolutionizing her industry for good. 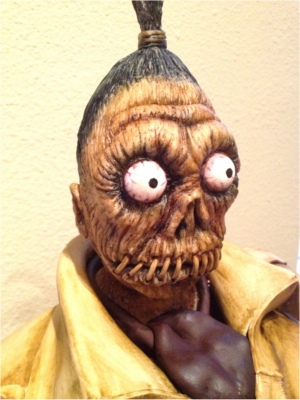 What do you think of Sideserf Cake Studio’s cakes?